Upcoming movie releases… in the library and on the big screen! Hey Kids! The school holidays and Easter creeping up. 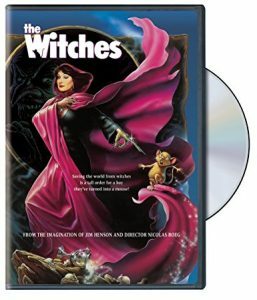 Wellington City Libraries has a batch of new releases on DVDs that will be available ASAP to borrow from your local library. Also check out the trailers to upcoming movies that will be released onto the big screen just in time for the holidays!.. and others that will be released later on throughout the year. Christmas comes early this year… around Easter with the release of the third screen adaptation of the Grinch, made by the film company, Illumination, who also made Sing, The Secret Life of Pets and the Despicable Me film series, and who has epic, and sometimes disastrous plans on running Christmas for the citizens of Whoville. A movie guaranteed to make you laugh and definitely not ruin your Easter break. You might also like Sing, The Secret Life of Pets, Despicable Me, 2, 3 and Minions. Check out The Secret Life of Pets 2 movie trailer! Release date: 20th June. LEGO Jurassic world. The secret exhibit. With the grand opening of Jurassic World’s new super-secret dinosaur exhibit just days away, only one thing is missing, the dinosaurs! In order to get the job done, Simon Masrani enlists his newly-hired assistant, Claire Dearing, to ensure the new attraction opens on time, or else. Unfortunately, Owen Grady, the animal behaviorist Claire hired to deliver the dinosaurs, is late. Owen’s mission turns out to be far more difficult than anyone could have imagined. You might also like LEGO Jurassic world. The Indominus escape, The LEGO Movie and The Batman LEGO Movie. Check out THE LEGO Movie 2: The Second Part movie trailer. Release date: 11th April. Ralph and Penelope are faced with a new challenge when they begin the search for a spare part to fix a beloved videogame: how to navigate the internet. When trying to fix Sugar Rush the pair become engrossed in the World Wide Web after a router is plugged into the local arcade space, forcing them to find a wheel to replace the router with and get the arcade up and running again. Traversing through this new, technological landscape won’t be easy, with the duo coming across new worlds, cultures, and characters that present difficulties along the way. 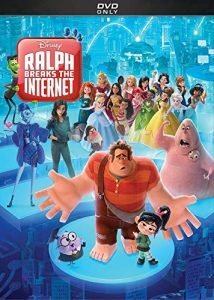 You might also like Wreck it Ralph. After accidentally releasing Slappy, three friends must lock the evil puppet and his creatures back into Stine’ book before he takes over. 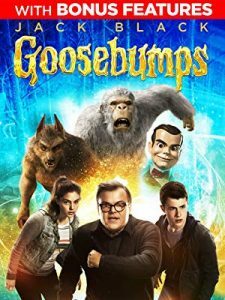 You might also like Goosebumps. Movies to watch in movie theatres these school holidays! Wonder Park. Release date: 11th April. Missing Link. Release date: 18th April. Avengers Endgame. Release date: 24th April. Toy Story 4. Release date: 27th June. Frozen 2. Release date: 28th November. Hey kids! 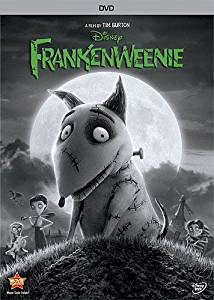 Halloween is just around the corner and Wellington City Libraries has some spooktacular DVDs in the collection for your viewing pleasure and frightful night in. Check out this year’s top 10 Halloween movies for kids that is guaranteed to make you scream… sometimes of fear or laughter! Let the scare fest begin! Based on the popular series by R.L. Stine, Goosebumps comes to life on the small screen. After moving to a small town, teenager Zach Cooper discovers that his new friend, Hannah’s mysterious dad is in fact R.L. Stine, the author of the bestselling Goosebumps series and holds a dangerous secret that bridges the gap between fiction and reality. 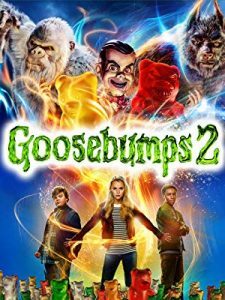 Also check out the trailer to the sequel: Goosebumps 2: Haunted Halloween. Join Casper the friendly ghost is a kind young ghost who peacefully haunts a mansion in Maine. When specialist James Harvey (Bill Pullman) arrives to communicate with Casper and his fellow spirits, he brings along his teenage daughter, Kat (Christina Ricci). 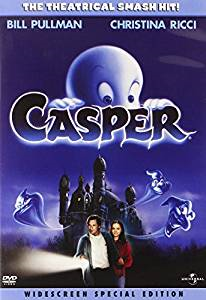 Casper quickly falls in love with Kat, but their budding relationship is complicated not only by his transparent state, but also by his troublemaking apparition uncles and their mischievous antics. Monsters Inc and Monsters University. Mike Wazowski and James “Sulley” P. Sullivan are an inseparable pair, but that wasn’t always the case. From the moment these two mismatched monsters met they couldn’t stand each other. Monsters University unlocks the door to how Mike and Sulley overcame their differences and became the best of friends. 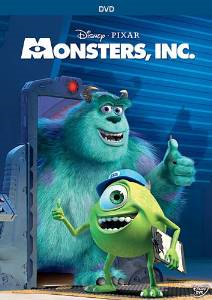 In Monsters Inc, Lovable Sulley and Mike Wazowski are the top scare team at MONSTERS, INC., the scream-processing factory in Monstropolis. 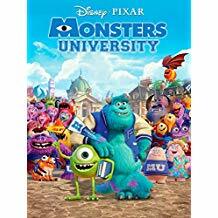 When a little girl named Boo wanders into their world, monsters are scared silly, and it’s up to Sulley and Mike to get her back home. But Boo’s presence is more than just a mere accident. Now, Mike and Sulley have to face an enemy within their own ranks. Overall a heart-warming movie where guaranteed to scare and make you laugh. What if you could bring your pets back to life? Young Victor successfully proves that theory when he revives his best friend back to life. However problems emerge when his class mates want follow suit in bringing their pets to life and ensues disastrous consequences. Overall a heart-warming and hilarious tale about how far a boy will go for his best friend. A must see movie for Halloween. A community of quirky, mischievous creatures who have lovingly raised an orphaned human boy named Eggs in the amazing cavernous home they’ve built beneath the streets of Cheesebridge. 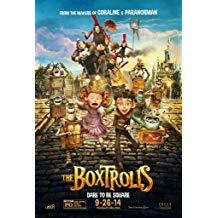 The town’s villain, Archibald Snatcher, comes up with a plot to get rid of the Boxtrolls, so Eggs decides to venture above ground, ‘into the light,’ where he meets and teams up with feisty Winnie. Together, they devise a daring plan to save Eggs’ family. A young girl walks through a secret door that she has found in her new home and discovers an alternate version of her life. On the surface, this parallel reality is eerily similar to her real life, but much better. 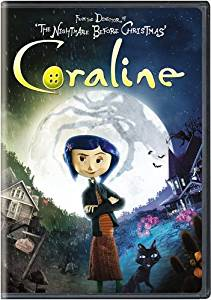 When her adventure turns dangerous, and her counterfeit parents, including the Other Mother, try to keep her forever, Coraline must count on her resourcefulness, determination, and bravery to get back home – and save her family. Hotel Transylvania 1 and 2, and 3. The Hotel Transylvania, run by Dracula, is a unique, high-end resort catering only to the finest monsters and their families. 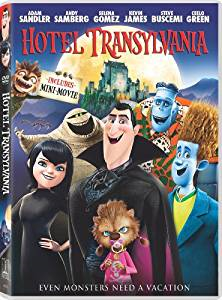 Check out The Hotel Transylvania trilogy and watch all three films back to back starting with the original film, where Dracula is preparing for an extra special weekend – his daughter Mavis’s 118th birthday – when trouble arises: a human has stumbled upon the resort for the first time ever! Even worse: the human has taken a liking to Mavis! In the sequel, everything seems to be changing for the better at Hotel Transylvania. Dracula’s rigid monster-only hotel policy has finally relaxed, opening up its doors to human guests. But behind closed coffins, Drac is worried that his adorable half-human, half-vampire grandson, Dennis, isn’t showing signs of being a vampire. In third film, A monster vacation, The monster family embarks on a vacation on a luxury monster cruise ship so Drac can take a summer vacation from providing everyone else’s vacation at the hotel. It’s smooth sailing for Drac’s Pack as the monsters indulge in all of the shipboard fun the cruise has to offer. But the dream vacation turns into a nightmare when Mavis realizes Drac has fallen for the mysterious captain of the ship, Ericka, who hides a dangerous secret that could destroy all of monster kind. Harry Potter and the philosopher’s stone… and the chamber of secrets. 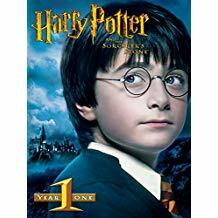 An oldie but a goodie, watch Harry Potter and the philosopher’s stone and relive the magic where Harry learns on his eleventh birthday that he is the orphaned son of two powerful wizards and possesses unique magical powers of his own, becoming a student at Hogwarts, an English boarding school for wizards and having to battle some “enemies” along the way. In the Chamber of Secrets, Harry finds the second year more challenging with flying cars, trees fighting back, duelling clubs and a fifty year old secret that threatens to destroy Hogwarts. Nine-year-old Luke finds that saving the world from witches is a tall order for a boy who has been turned into a mouse. 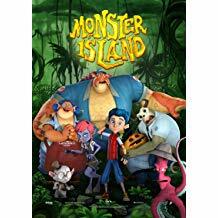 When teenager Lucas (voice of Phillip Vasquez) discovers that he is not human as he always thought, his world is turned upside down as he must adapt to being a monster. Not only is Lucas troubled by the fact that his first transformation occurred at school but also that his father had kept him in the dark about his true nature. His frustrations lead Lucas to leave home in pursuit of the fabled Monster Island with the hope of learning the truth about his heritage. His journey brings him into contact with several weird and wonderful individuals, not all of whom have good intentions. 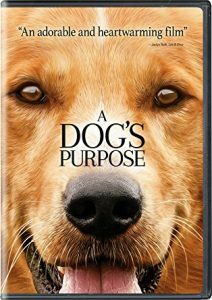 DVD Review: A Dog’s Purpose. A heart-warming movie about the eight life journey of Bailey/Ellie/Tino/Waffles/Buddy and Bailey.. again as he tries to find himself and his purpose in life. This movie will make you laugh, make you cry, feel warm and fuzzy, and will make you develop an appreciation, as well as respect for the aptly named man’s, as well as woman’s best friend, which Bailey/Ellie/Tino/Waffles/Buddy and Bailey proves time and time again throughout the movie, clearly staing his purpose and teaching a few lifelong lessons along the way. Be prepared to have tissues on hand. I haven’t seen a better movie dogs since Red Dog. A librarian’s choice all the way! Don Bluth Children’s DVDs in the library. 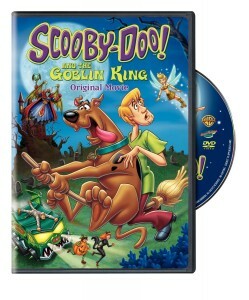 Why not check some DVDs produced by Don Bluth, one of the greatest chief animators since Walt Disney. Also while you’re at it, learn interesting facts about some of the movies, voice actors and encounter some uncanny (Walt Disney) connections. “Set in 1939 New Orleans, this colourful musical animation centres on Charles B. Barkin, who gives up a stay in Heaven to a return to Earth. Charlie is a roguish German shepherd with the charm of a con man and the heart of a marshmallow. He’s out for revenge against the double-crossing former partner who killed him, a pit bull terrier known as Carface. Charlie finds himself an unlikely guardian to a lonely little orphan named Anne-Marie. Her astounding ability to talk to animals and her strong sense of right and wrong leads this unlikely pair on an adventure packed with thrills, laughs, tears and love as Charlie seeks redemption, all the while risking damnation.”–Container. Follow your heart and nothing is impossible. A girl no bigger than her mother’s thumb feels all alone in the world knowing she is the only person her size. Her wish for a companion at last comes true when the prince of the faerys arrives at her window sill. 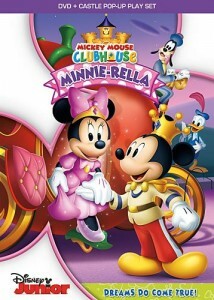 However, the niave Thumbelina’s life goes downward from there when a toad kidnaps her. While she tries to find a way home, she begins to grow up and learns about hope with the help of the friends she always wanted. 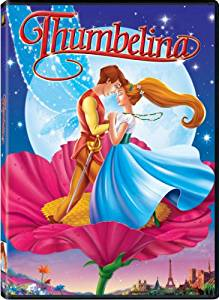 FACT: The actress, Jodi Benson, who voices Thumbelina also voices Ariel in Walt Disney’s animated film, The Little Mermaid. Both films are based on the books written by Hans Christian Andersen. FACT: The actor, Gilbert Gottfried, who voices Beatle also voices Iago in Walt Disney’s animated film, Aladdin. 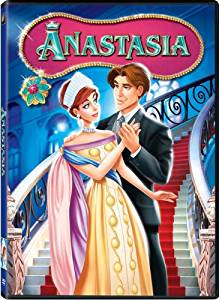 An animated film based on the true story of the lost Russian princess Anastasia and her quest for her true identity. A mix of adventure, romance, comedy and music. FACT: The actress, Angela Lansbury, who voices Anastasia’s grandmother also voiced Mrs Potts in Walt Disney’s animated film, Beauty and the Beast. 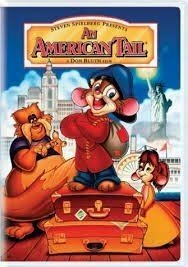 Three for the price of one, check out the American Tail trilogy which consist of An American tail, An American tail : Fievel goes west and An American tail : the treasure of Manhattan Island which chronicles the story of Russian mouse, Fievel and his family emigrating to the United States and having lots of exciting adventures along the way, as well as trying to settle into a new country, forming new friendships and alliance’s and dodging feline enemies along the way. The land before time. 6 disc collection. Six for the price of one, check out all six movies in The Land Before Time series. “Everybody’s favourite pre-historic friends are back in movies 1 to 6 in the exciting Land Before Time series. This collection features fantastic animation, enchanting songs and touching storylines that guarantee hours of fun for the whole family. 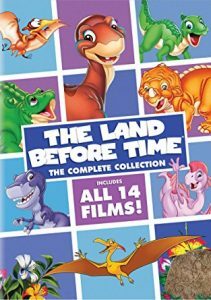 You will get to know Littlefoot, Cera, Spike, Ducky, Petrie and all the other Land Before Time characters as their exciting adventures unfold. So come along and join the enchanted world of Land Before Time with stories about friendship, bravery and adventure!”–Container. 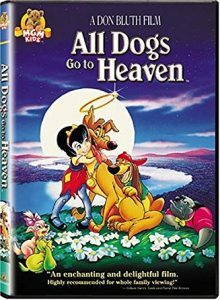 FACT: The actress, Judith Barsi, who voices Ducky in the first movie, The Land Before Time, also voices Anne-Marie in All Dogs Go to Heaven. 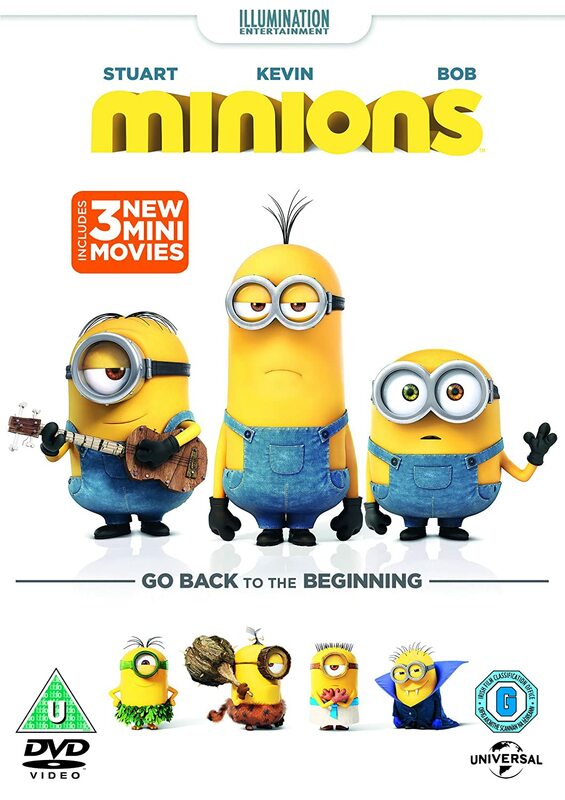 Movie Review: Minons…or How the Minons met their boss. Minons, or as I would like to call it- How the Minons met their boss, is a spin-off/prequel to the Despicable Me franchise. Minions are small, yellow creatures who have existed since the beginning of time, evolving from single-celled organisms into beings who exist only to serve history’s most villainous masters. After serving, (and killing) a T-Rex, an Egyptian pharaoh, Dracula, and Napoleon, and then going through stages of no master depression, the Minions (Kevin, Stuart and Bob) hitchhike to Orlando to attend Villain-Con, in hopes on becoming the henchmen for Scarlet Overkill, the world’s first female (and diva) super villain. However is she the world’s most villainous super villain? Watch to the film to find out. 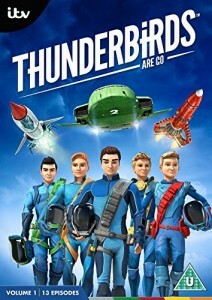 Overall a great film for kids! A very funny interpretation of what happens in the human mind when emotions set in. Produced by Pixar and released by Walt Disney Pictures. 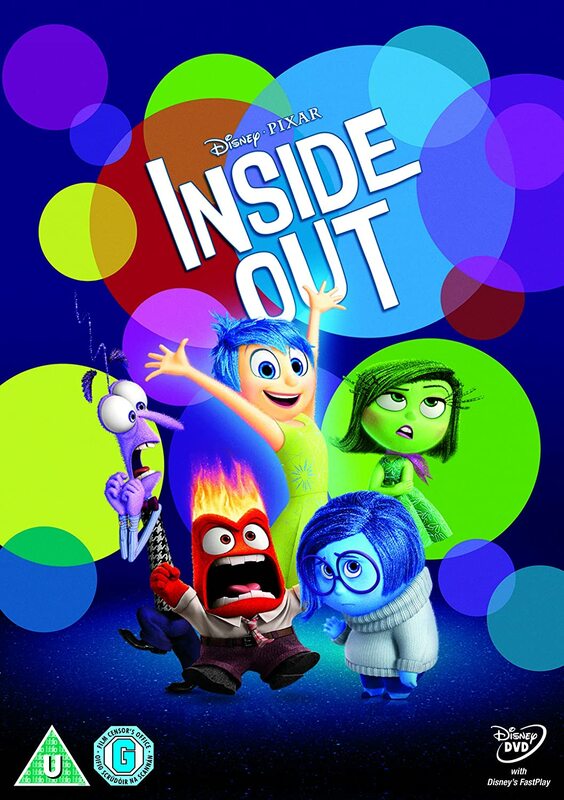 Inside Out is set in the mind of a young girl, Riley Andersen (Kaitlyn Dias), where five personified emotions—Joy (Amy Poehler), Sadness (Phyllis Smith), Fear (Bill Hader), Anger (Lewis Black), and Disgust (Mindy Kaling)—try to lead her through life as her parents (Diane Lane and Kyle MacLachlan) move the family to a new city. Overall this is a cute movie that provides a very funny interpretation of what happens in the human mind when emotions set in, what roles each our emotions play in our personalities, how we communicate and form relationships with people. Some very funny moments in the film, especially when Anger loses his temper, Disgust’s sarcastic and cynical behaviour and finding what role Sadness plays in our lives (Spoiler: Very important role). For a sneak peek of Inside Out, check out the trailer here. 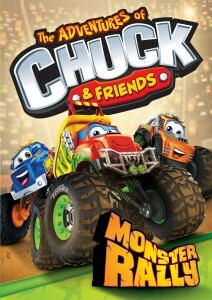 Check out some new DVDs for the month of June in the WCL children’s collection! Scooby-Doo! and the goblin king : original movie. All grown up!. 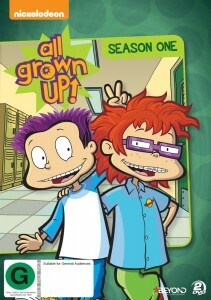 Season one / Nickelodeon. 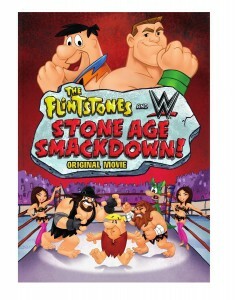 The Flintstones and WWE. Stone age smackdown!. The adventures of Chuck & friends. Monster Rally. Love to sing. 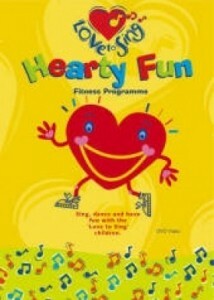 Hearty fun [videorecording] : fitness programme. Mostly ghostly. Have you met my ghoulfriend?